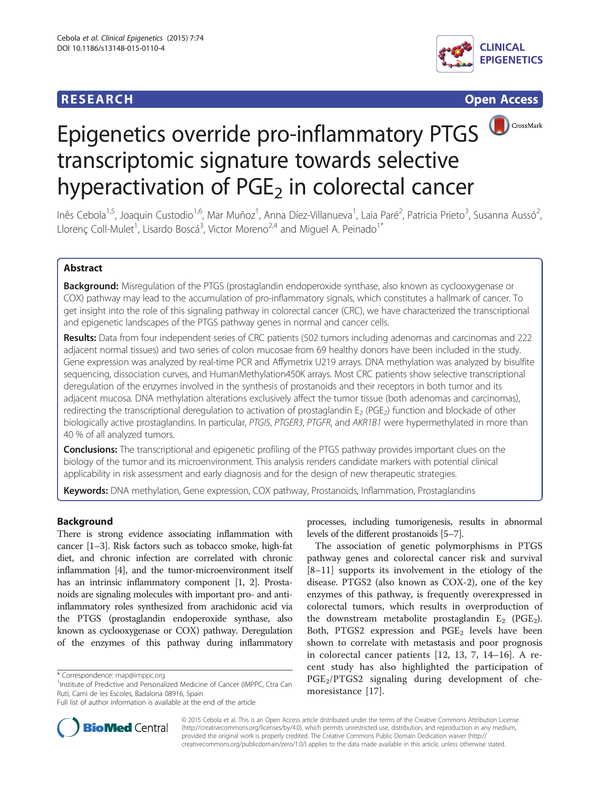 and epigenetic landscapes of the PTGS pathway genes in normal and cancer cells. 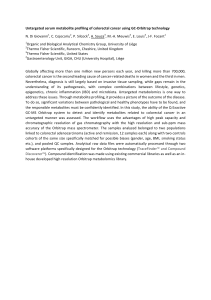 adjacent normal tissues) and two series of colon mucosae from 69 healthy donors have been included in the study. 40 % of all analyzed tumors. applicability in risk assessment and early diagnosis and for the design of new therapeutic strategies. levels of the different prostanoids [5–7]. the downstream metabolite prostaglandin E2 (PGE2). PGE2/PTGS2 signaling during development of chemoresistance . toxicity, but an increased risk of cardiovascular complications [25, 22]. tumorigenesis initiation and cancer progression . an oncogenic state [29, 30]. may affect the overall prostanoid production in the transformed colorectal tissue, nor in other types of cancer. therapeutic targets in colorectal cancer patients. tumorigenesis [32, 6], the complete picture of the regulatory state of this pathway in CRC remains elusive. nomenclature is shown in Additional file 1: Table S2). tumors (Fig. 1b, Table 2, Tukey’s HSD test P = 0.0091). PTGS2 protein analysis revealed an equally variable expression pattern (data not shown). of five CRC cell lines (Additional file 1: Figure S1A). PTGES3) or a strong downregulation (i.e., PTGIS). the InfiniumMethylation450K platform (Fig. 2b, Table 2). CpG islands, the ones altered at a higher rate (Fig. 2d). datasets from the TCGA (Fig. 2c, d). early in tumorigenesis (Additional file 1: Figure S2). confirming our previous observations with the Colonomics series. methylation—behind the observed transcriptional downregulation in CRC (Additional file 1: Figure S1B). analysis all included all indels, large deletions and amplifications detected in PTGS pathway genes in CRC tumors. PTGER2 and TBXA2R (Additional file 1: Figure S3A). colorectal tumors (Additional file 1: Figure S3B). postulated that the methylation patterns found in colorectal cancer could be also found in other cancer types. all cases, the Jaccard similarity index obtained as a result of the bootstrap resampling was above 0.75, indicating the clusters’ stability. that was slightly more methylated in older individuals. have distinctive methylation profiles, while those with tumors in the right side overlap with both right and left colonic mucosa of controls (Additional file 1: Figure S4). of PTGS2 a major feature of many tumor types . strategies to specifically target this signaling pathway before and after tumor appearance. PTGIS, PTGER3, and AKR1B1 . the different location of the array probes and the oligonucleotides used in dissociation curve analysis. overriding of the pro-inflammatory status towards a malignant phenotype. not recovered in DNMT-deficient cells. Our results also suggest that the establishment of an inflammatory state in this tissue precedes and possibly contributes to the epigenetic alterations we observe in tumors. PTGER4 inhibits the development of CRC [49–51]. downregulation in both normal and tumor tissue. major cause of treatment failure . understand the mechanisms underlying PTGS regulation and signaling in both normal and malignant cells. 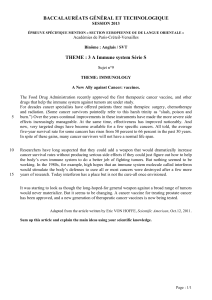 order to better prevent and treat cancer patients. non-tumor colonic mucosa of colorectal cancer patients. also in individuals at risk of developing CRC. TCGA data through cBioportal (www.cbioportal.org). Hospital Germans Trias i Pujol ethical committee. The individuals gave their written informed consent. samples (minimum distance of 10 cm from the tumor). donors is presented in Table 1. Cancer Genome Atlas (TCGA) (www.cancergenome.nih. (GEO) database with accession number GSE44076. with Infinium HumanMethylation450 array. Further details are available as Additional file 1.
bootstrap resampling to assess the stability of the clusters. value of 0.75 or more. methods, supplementary references, Tables S1–S7, and Figures S1–S5. CRC: colorectal cancer; TCGA: The Cancer Genome Atlas. 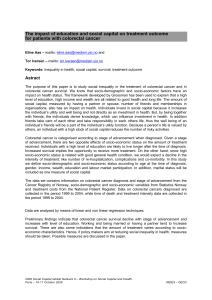 methodologies unrelated to this paper. generated by the TCGA network. 1. Mantovani A, Allavena P, Sica A, Balkwill F. Cancer-related inflammation. inflammation, the seventh hallmark of cancer: links to genetic instability. 3. Grivennikov SI, Greten FR, Karin M. Immunity, inflammation, and cancer. for prevention and therapy of cancer: short-term friend, long-term foe. prevention/intervention. Cancer Metastasis Rev. 2011;30:363–85. adaptation to the tumour microenvironment. Carcinogenesis. 2009;30:377–86. 8. Coghill AE, Newcomb PA, Poole EM, Hutter CM, Makar KW, Duggan D, et al. survival. Clin Cancer Res. 2011;17:7139–47. 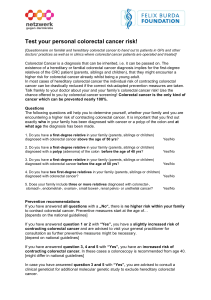 colorectal cancer risk in the Colon Cancer Family Registry. Carcinogenesis. 10. Poole EM, Hsu L, Xiao L, Kulmacz RJ, Carlson CS, Rabinovitch PS, et al. 11. Cox DG, Pontes C, Guino E, Navarro M, Osorio A, Canzian F, et al. COX2) and risk of colorectal cancer. Br J Cancer. 2004;91:339–43. cancer. J Lab Clin Med. 1993;122:518–23. have increased colonic mucosal prostaglandin E2. Gut. 1994;35:675–8. 14. Ogino S, Kirkner GJ, Nosho K, Irahara N, Kure S, Shima K, et al. 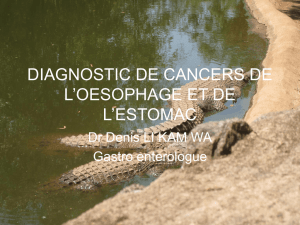 prognosis in colon cancer. Clin Cancer Res. 2008;14:8221–7. colon cancer cells increases metastatic potential. Proc Natl Acad Sci U S A. 17. Kurtova AV, Xiao J, Mo Q, Pazhanisamy S, Krasnow R, Lerner SP et al. back to the future. Clin Cancer Res. 2014;20:1087–94. drugs on gastrointestinal cancers: current state-of-the science. Cancer Lett. 20. Thun MJ, Jacobs EJ, Patrono C. The role of aspirin in cancer prevention. Nat Rev Clin Oncol. 2012;9:259–67. 21. Liao X, Lochhead P, Nishihara R, Morikawa T, Kuchiba A, Yamauchi M, et al. cancer prevention: promise, perils and pharmacogenetics. Nat Rev Cancer. 23. Ng K, Meyerhardt JA, Chan AT, Sato K, Chan JA, Niedzwiecki D, et al. J Natl Cancer Inst. 2015;107:345. 25. Patrignani P, Capone ML, Tacconelli S. NSAIDs and cardiovascular disease. 27. Carmona FJ, Esteller M. Epigenomics of human colon cancer. Mutat Res. maps. Nat Rev Genet. 2007;8:286–98. 30. Jones PA, Baylin SB. 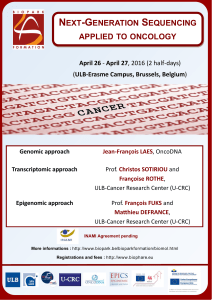 The epigenomics of cancer. Cell. 2007;128:683–92. cancer. Prog Lipid Res. 2012;51:301–13. 32. Harris RE. Cyclooxygenase-2 (cox-2) and the inflammogenesis of cancer. defective mismatch repair. Cancer Res. 1998;58:5473–7. 34. Sinicrope FA, Lemoine M, Xi L, Lynch PM, Cleary KR, Shen Y, et al. nonpolyposis colorectal cancers relative to sporadic cancers. 35. Frigola J, Muñoz M, Clark SJ, Moreno V, Capella G, Peinado MA. 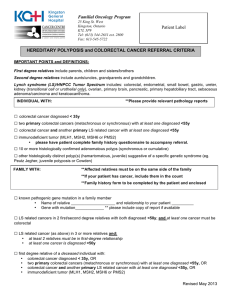 frequent event in colorectal cancer and associated with aneuploidy. 36. Luo Y, Wong CJ, Kaz AM, Dzieciatkowski S, Carter KT, Morris SM, et al. progression from adenoma to colorectal cancer. Gastroenterology. and DNMT3b cooperate to silence genes in human cancer cells. Nature. 38. Vogelstein B, Kinzler KW. Cancer genes and the pathways they control. 39. Hanahan D, Weinberg RA. Hallmarks of cancer: the next generation. 40. Toyota M, Shen L, Ohe-Toyota M, Hamilton SR, Sinicrope FA, Issa JP. outcome in gastric cancer. J Clin Oncol. 2007;25:4887–94. 42. Shoji Y, Takahashi M, Kitamura T, Watanabe K, Kawamori T, Maruyama T, et al. related to tumor stage, differentiation and progression. Acta Oncol. 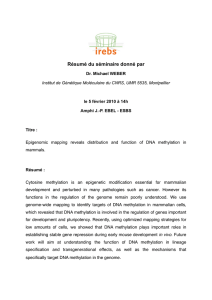 for an instructive mechanism of de novo methylation in cancer cells. important roles in colorectal carcinogenesis. Digestion. 2013;87:12–6. intestinal tumor growth via DNA methylation. Nat Med. 2012;18:224–6. the angiogenic switch. Proc Natl Acad Sci U S A. 2004;101:415–6. pattern. Prostaglandins Other Lipid Mediat. 2013;104-105:139–43. the expression of EP4 receptor in colon cancers. Cancer Biol Ther. microenvironment via CXCL12-CXCR4 chemokine systems. Am J Pathol. 54. 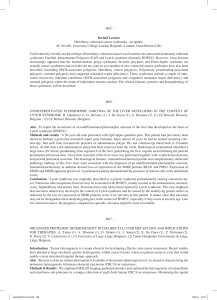 Bishehsari F, Mahdavinia M, Vacca M, Malekzadeh R, Mariani-Costantini R.
prevention. World J Gastroenterol. 2014;20:6055–72. 57. Ogino S, Lochhead P, Chan AT, Nishihara R, Cho E, Wolpin BM, et al. science to analyze environment, host, and disease. Mod Pathol. 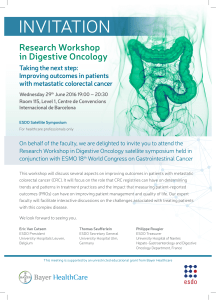 molecular crosstalk in colon cancer. Mol Cancer. 2014;13:46.
fluorescence melting curve analysis. Clin Chem. 2001;47:1183–9.